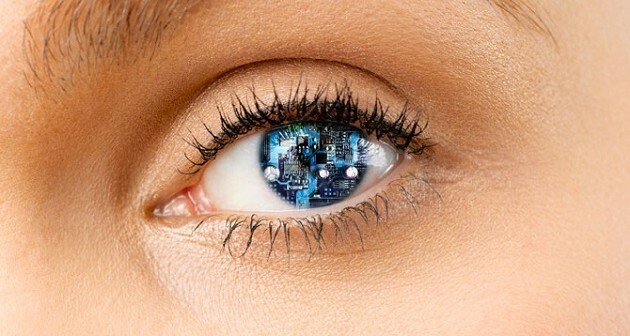 It may sound like something from science fiction but Google has filed a patent for what is in effect a bionic eye. The actually patent was filed back in 2014 but full the details only came to light last week. The aim of the device is to correct vision without users needing to wear glasses or contact lenses. On paper at least, it seems like it could be quite an intrusive procedure and is perhaps not for the faint hard but here is a basic idea of how it will work. The patient would have their lens removed from their lens capsule and a fluid would be injected into the capsule. The fluid would form an adhesive bond that would allow the surgeon to attach what is known as an “intra-ocular device” into the lens capsule. After the fluid has solidified it would create a “coupling” between the device and the lens capsule thus creating an electronic contact lens which would correct the patient’s vision. The device, dubbed Google Eyeball, would be so sophisticated that it would be able to sense when the wearer is trying to focus on objects close by or in the distance and adjust to ensure that the wearer could focus with complete clarity. It must be stressed that just because a patent has been lodged it doesn’t mean that this will be available any time soon if indeed at all. Google has previously been interested in technology connected with people’s eyes having been awarded a patent for a smart contact lens that runs on solar power. The lens can perform tasks such as measuring glucose levels. In April, Samsung reportedly filed a patent for a pair of smart contact lenses that would enable users to control their smartphone using blink patterns.